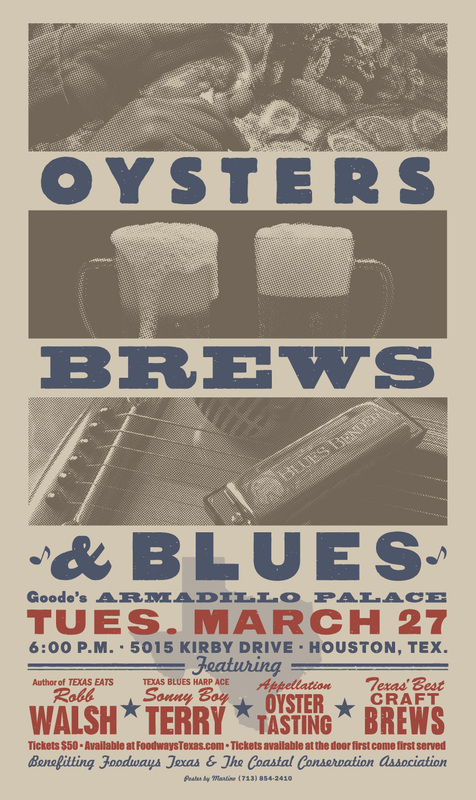 The website indicates there will be a limited number of tickets available at the door for tonight's Oysters, Brews and Blues celebration at Goode Company’s Armadillo Palace on Kirby Drive. 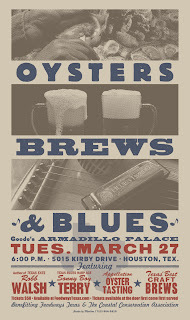 The evening will include a discussion from Robb Walsh about Texas appellation oysters followed by an opportunity to try the oysters along with local Texas craft beer while listening to one of the top harmonica players, Sonny Boy Terry. 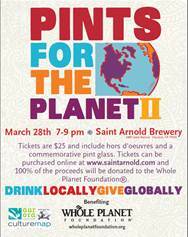 No Label, Saint Arnold, and Southern Star will be on hand to discuss their beers and help you pair them with the oysters. Tickets are $50 and proceeds from the event benefit Foodways Texas and the Coastal Conservation Association’s marine oyster habitat program. 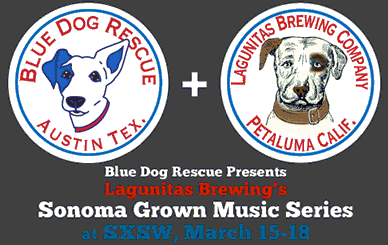 Looks like a great opportunity to enjoy some good beer while helping out a worthy cause. The Counter, a burger joint where you custom build your burger, is featuring a Beer and Burger Pairing Menu from February 28 through March 18 at both locations. The burger and beer pairings combine a flight of four mini beers with four beef mini burgers for the reasonable price of $13. Newcastle (Brown Ale) paired with a beef mini, with swiss cheese, sauteed mushrooms, applewood smoked bacon, roasted garlic aioli. Saint Arnold (Amber Ale) paired with a beef mini, organic mixed greens, fresh mozzarella, bruschetta mix, balsamic glaze, basil pesto. Longhammer (IPA) paired with a beef mini, lettuce blend, roasted corn and black bean salsa, jalapeno jack cheese, fried jalapenos, chipotle aioli. Widmer (Hefeweizen) - paired with a beef mini, with brie organic greens, julienned basil, tomato, apricot sauce. Although I would like to have seen more local craft beers then just Saint Arnold, I certainly applaud their effort. 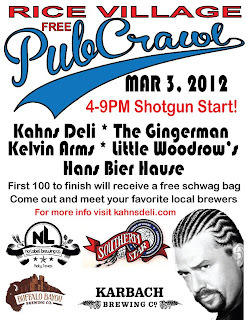 After March 18th, the pairings will still be available but only Thursdays. **Update - The Counter responded on Twitter to my post and has indicated they plan on using local beers when they debut their next pairing in April. Awesome! Houston is the first stop of the Food Experiments 16 city national tour, a competition for amateur chefs that has a unique ingredient selected for each city that must be used in the dish presented. 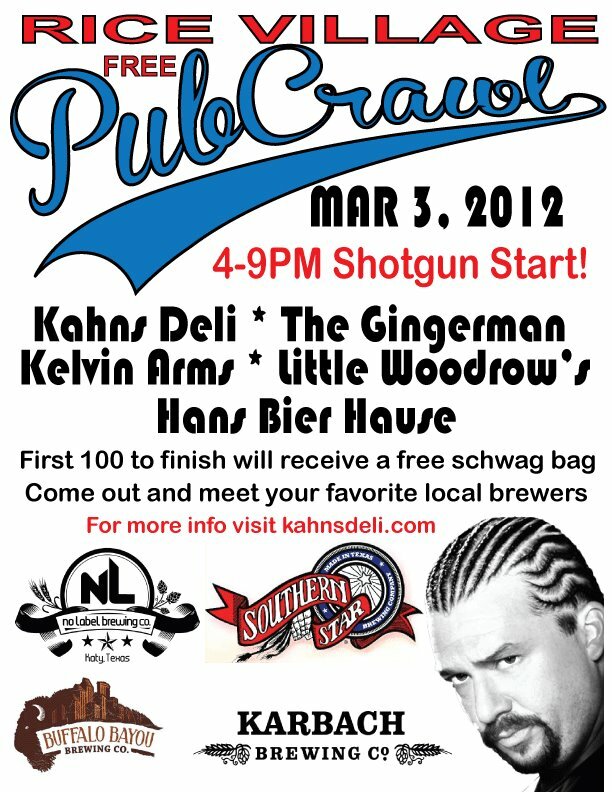 Beer is the ingredient that the competitors will need to use for the event being held at Fitzgerald's on Sunday, March 4th from 1:00pm ~ 4:00pm. Any type of dish can be entered, as long as it includes beer. Judging of the entries will be done by Chris Shepherd (Chef at Underbelly), Adam Dorris (Chef at Stella Sola) and Jenny Wang (Producer of Southbound Foods). The winner will receive a trip to New York next December courtesy of Brooklyn Brewery to compete against the winners from the other cities participating. Tickets to attend are $10 and available for purchase online which includes beer from Brooklyn Brewery and the chance to sample the entries.